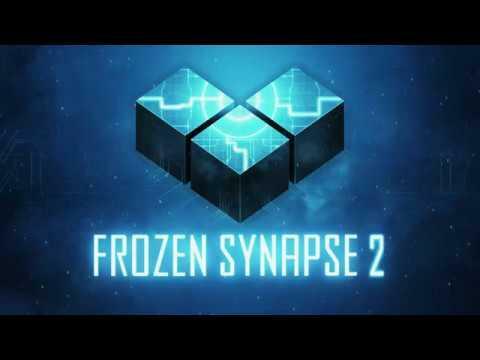 Frozen Synapse 2 from Mode 7 released yesterday for Windows, the good news is the developer is getting the Linux version out soon. Speaking on Twitter earlier, one of the developers said "We're aiming for Frozen Synapse 2 Mac and Linux versions plus Skirmish mode at the end of this month". Going by the roadmap they posted on Steam, looks like Sept 28th could be the date. Really great to know we won't be waiting long, as it does look great. Frozen Synapse 2 brings you classic tactical gameplay with a new twist: it's set within a vast procedurally generated city. We're calling it "open world tactics" - a combination of grand strategy and simultaneous-turn-based combat. In single player, Frozen Synapse 2 tasks you with defending the city of Markov Geist against an array of threats from within and without. Set up bases, deploy your forces and then enter any building or engage a target anywhere on the map: you define your own strategy. When you're ready to take tactical control, the camera will zoom down to your units, enabling you to make your plan and test it out. When you hit the "Prime" button, your moves are locked in and you must see how they play out against your opponent's plan. It currently has a Mixed rating on Steam, although a number of them are talking about crashes with the actual gameplay being good. So once it's more stable, it looks like they could be onto a winner. We will give it our usual look once it releases for Linux, stay tuned. The state of the game right now is...not optimal. Lots of users are reporting crashes and the UI unfortunately doesn't seem to scale, as it looks absolutely tiny on 4k monitors, which makes text a bit hard to read. I would definitely wait to see if they fix these issues before purchasing it. ixnari The state of the game right now is...not optimal. Lots of users are reporting crashes and the UI unfortunately doesn't seem to scale, as it looks absolutely tiny on 4k monitors, which makes text a bit hard to read. I would definitely wait to see if they fix these issues before purchasing it. Sounds like it's not a big loss to wait some weeks for it. But I will take a look, the first one was great. I have high hopes for the game! The first one was great indeed. There are not so much good WEGO tactics games availlable, and I really hope the completely new game world gives the tactics part context and motivation. if it does, the result hast result in a great game! The game has become quite complex, and the lead/single? developer recently complained about lack of sleep on Twitter. So I think in time, especially with the Linux and Mac releases out of the way, they will iron out the issues.